With as much as 18% of the average homeowners energy bill coming from heating water, it’s more important than ever to get the most out of your home’s hot water heater. However, even the most energy-effecient water heaters don’t work quite as well as they should so upgrading to a new unit can often times leave homeowners stuck in a catch 22. Below we have outlined some quick and easy ways any homeowner can increase the effeciency of their hot water heater while cutting down on energy costs at the same time! Often times homeowners overlook the maintenance of their hot water heaters leading to a decline in effeciency and untimely failure. One of the most underperformed yet highly important of these steps is draining and flushing the tank. Over time hard water supply leads to build up of minerals like calcium, magnesium, & lime. The settled sediment collects in the tank and diminishes your units ability to heat water effeciently. The extra energy it takes not only costs you extra money in energy bills, it also leads to potential damage and catastrophic failure. Sediment can be directly tied to tank overheating & ruptures. Sediment can be removed fairly easily by draining your tank and flushing it out with cold water. This can be done annually for maximum upkeep. If you are comfortable flushing your tank yourself you can find an abundance of “how-to” guides online. If you’d prefer a professional plumber do this for you, you can contact Flow Plumbing today to schedule your water heater maintenance service. Have you ever showered at a friend or family members house that seems to have a hot water supply that is so hot it feels dangerous? Do you have this problem with the hot water flowing from your faucets or shower heads? If so, you likely need to turn down the thermostat on your hot water heater. A thermostat controls how hot the stored water inside the tank should be. The hotter the water, the more power used. This is fairly straightforward. While every water heater manufacturer has recommended settings, we find 120℉ to be a good number for any unit. Any higher than 120℉ and you risk wasting energy at a very high rate. It is estimated that by adjusting a thermostat down to 120℉ (if previously set higher) you can save up to 5% in costs directly associated to heating the water for your home! Heat has a habit of dissipating the further away it travels from the source. This hold especially true when we talk about water flowing through pipes from your hot water heater. For every ounce of water that loses heat while traveling from your water heater to your faucets and fixtures, another ounce must be heated to replace it. The further water travels through uninsulated pipes, the cooler it gets, the cooler it gets, the more it must be heated, and the more it is heated, the more it costs. How do you stop water from losing as much heat as possible when flowing through your pipes? Insulation! When you insulate your pipes you are effectively slowing the dissapation of heat from your water. This means water leaves the water heater hot and stays hot until it reaches your taps! The process for insulating pipes, and even your hot water heater, is fairly simple. However, if this is something you’d like to talk to a professional plumber about, Flow Plumbing is standing by ready to answer any questions you may have. Due to the fact that water heaters are typically hidden away in closets or in garages, they rarely receive much thought at all. It’s easy to forget how large of a role they play in your homes plumbing system. Properly maintaining a water heater can not only save you money in energy costs, and increase effeciency, but it can also increase it’s lifespan. 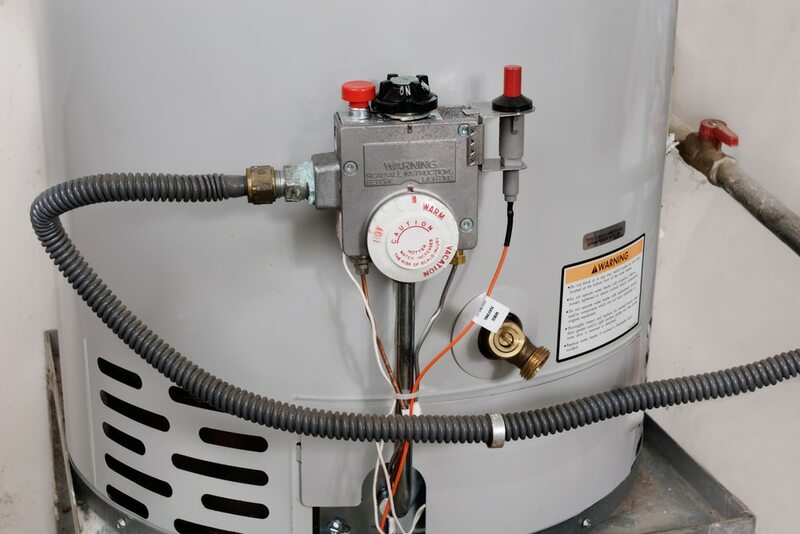 If you need help performing water heater maintenance, or just want to make sure that your hot water heater is performing to it’s potential, contact Flow Plumbing today!